Robert hasn't connected with his friends on Goodreads, yet. 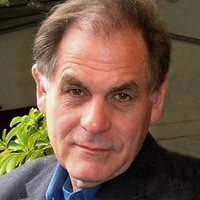 Graysmith's latest book Black Fire: The True Story of the Original Tom Sawyer--and of the Mysterious Fires That Bap Robert Graysmith was born in Pensacola, Florida as Robert Gray Smith. He changed his name to Graysmith in 1976. 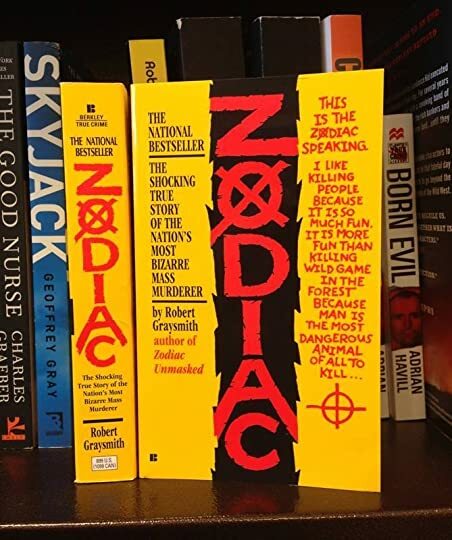 Original Zodiac cover is back! My son found this at Barnes & Noble today when it jumped off the shelf at him. It's the 9th printing of the movie tie-in edition for Zodiac. Before the movie reset the count and switched the cover to be the movie poster, there were 41 printings, so this should be the 50th paperback printing in the U.S.! French version of "The Girl In Alfred Hitchcock's Shower"
Here's the cover for the French version of "The Girl In Alfred Hitchcock's Shower", which released in France last week. We’d love your help. Let us know what’s wrong with this preview of The Murders in the Rue Morgue by Edgar Allan Poe. We’d love your help. Let us know what’s wrong with this preview of The Day of the Locust by Nathanael West. We’d love your help. Let us know what’s wrong with this preview of Tinker, Tailor, Soldier, Spy by John le Carré. AUGUST 2015:We are reading a serial killer themed true crime book for August 2015. This poll will be live until July 19th. 6 voting members = 3 book choices.